Rising stars in the arts firmament David Tennant. Playing in: His first season with the RSC. His Scottish Touchstone in As You Like It has been greeted as the most memorable in years: manic and ferociously clever. He has been also applauded for his freewheeling comedy in The Herbal Bed in which he plays Jack Lane, the Stratford gent who slanders Shakespeare's daughter. In between he is Washington's right-hand man in The General From America. Elsewhere: He may have caught your eye, not long back, streaking around the Lyttelton as the pageboy in What The Butler Saw. He is, to boot, the chronically depressed Campbell Bain being cheered up by Ken Stott in the BBC's award-winning Takin' Over The Asylum. Comes from: Bathgate, the post-industrial town between Edinburgh and Glasgow, possibly best known for a passing mention by The Proclaimers. "Bathgate, no more", they sing. Kin: Tennant's father is a Presbyterian minister, now in the Scottish Cabinet. His brother is the managing director of Sony Music Publishing for Great Britain. Why acting? "I was certain this was what I wanted to do from a ridiculously young age, three or four. I wanted to be the people on the television. Then I realised those characters were pretend. Then I wanted to be the people who pretended." 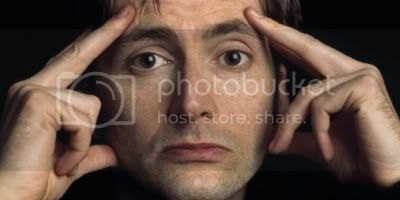 Tennant was on screen before he was out of school, talent-spotted by Scottish TV at a Saturday youth theatre club, an offshoot of the Royal Scottish Academy of Music and Drama where he later trained. Arden, the downside: Back in Stratford, Shakespeare's pastoral idyll sounds positively lethal. The RSC's young stars - all Great British Hopes, incidentally - have been shooting across the slippery metal set. Victoria Hamilton broke her foot, Joseph Fiennes dislocated his shoulder and Tennant crippled his ankle. On himself: "I have no idea how to describe myself. Tall, skinny and Scottish. Overall, I am fairly happy. Maybe a bit bewildered. Only recently the National, the RSC, they seemed a million miles away. Then suddenly Dame Judi Dench is across the corridor."